Are you tired of big dynamic mikes with long cords getting in your way? Not to mention feedback and the noise from setting down the mike without turning it off first. And let’s forget about lapel microphones with sound that fades in and out. Anyone who does public speaking can tell you that a good microphone is worth having. These two lightweight and discreet microphones from Samson work with most brands of wireless transmitters so you can move around unimpeded. Plus, you’ll probably forget you’re wearing one. Let’s look at them both and see which one is best for you. 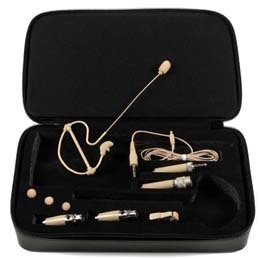 It looks a little like a Secret Service setup with its beige-colored earpiece. The SE10 is designed for anyone from pastors to physical fitness instructors. It’s resistant to sweat and moisture, and shapes to fit securely in either left or right ears. An ear band helps hold it in place. 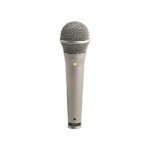 The microphone is omnidirectional, which means it picks up the speaker’s voice as well as some ambient sound, like applause. The mic capsule measures 3mm, so it’s a hair larger than the SE50 that we’ll look at in a moment. 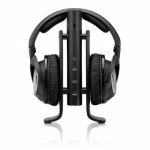 It comes with three windscreens to reduce wind noise and soften vocal plosive sounds. The four different cable adapters make the mic compatible with most wireless transmitter brands. 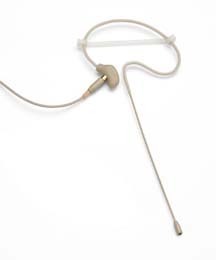 The cable is detachable, and a cable clip keeps it close to clothing when the mic is being worn. Since the microphone is close to the speaker’s mouth and not pinned to a collar, there isn’t any of that scratchy sound from clothes like lapel mikes have. The SE50 is similar to the SE10 in that it’s also ideal for fitness instructors giving a classbecause it’s resistant to sweat and moisture. 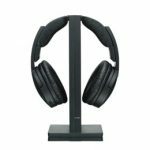 It stays in place because it shapes to fit securely in either left or right ears and the mic arm bends into the perfect position. Pastors and presenters have also enjoyed using this mic because it’s comfortable and transmits sound clearly. 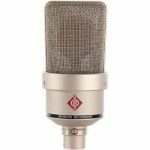 The condenser microphone is omnidirectional, which means it picks up the speaker’s voice as well as some ambient sound, like applause. The mic capsule measures only 2.5mm, so it’s even smaller than the SE10. 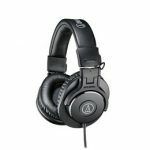 It comes with three identical windscreens to reduce wind noise and soften vocal plosive sounds, like “P” and “B”. Since the microphone is close to the speaker’s mouth, there isn’t any of that scratchy sound from clothes like lapel, or lavalier, mikes have. There are four different cable adapters to make the mic compatible with most wireless transmitter brands, although Samson recommends their own. The cable detaches for storage. A cable clip keeps it close to clothing when the mic is being worn. The differences between the SE10 and SE50 are color and the size of the microphone. The SE10 comes only in beige, while the SE50 comes in black or beige. The SE50 has a smaller mic capsule measuring 0.5mm less than the one on the SE10. Considering that a US dime is about 1mm thick, the difference is size is literally miniscule. 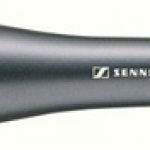 If you must have a black microphone, consider getting the SE50. Otherwise, either mic should do the job well for you. Click here to Check out Samson SE10 Price on Amazon! Click here to Check out Samson SE50 Price on Amazon!